The Marvel Now! Hulk is an interesting concept visually, although I am not quite sold on the idea of an intelligent, well-groomed Hulk, as that seems to dispense with a lot of the basic character traits that make him a compelling comic book hero in the first place. 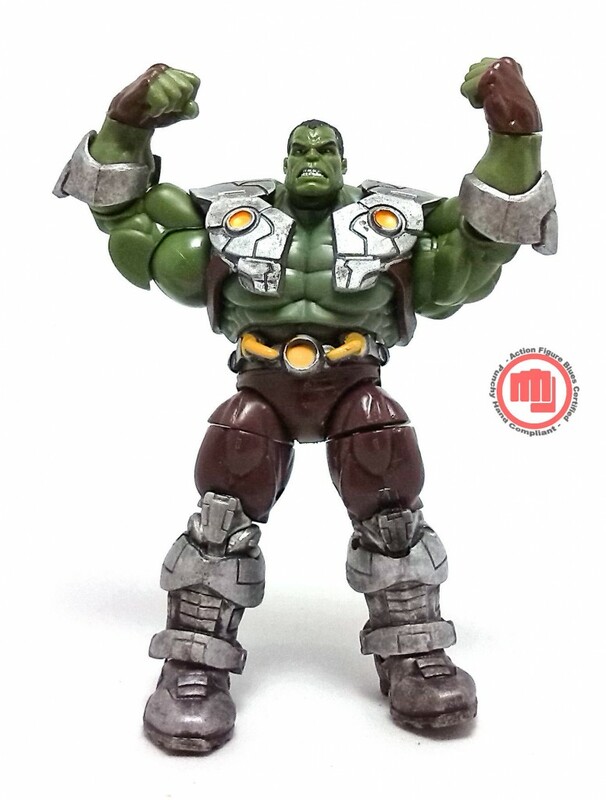 This version of the Green Goliath uses a mix of pieces we have already seen on similarly bulky characters like Apocalypse and Skaar, meaning there are no skin textures sculpted anywhere on this figure, further enhancing the idea that this guy may have hired an image consultant. The head sculpture is new and it has a pretty decent facial expression, as well as a slicked back hair sculpt. Another new piece is the non-removable rubber belt attachment on his waist, which matches the appearance of the added harness. 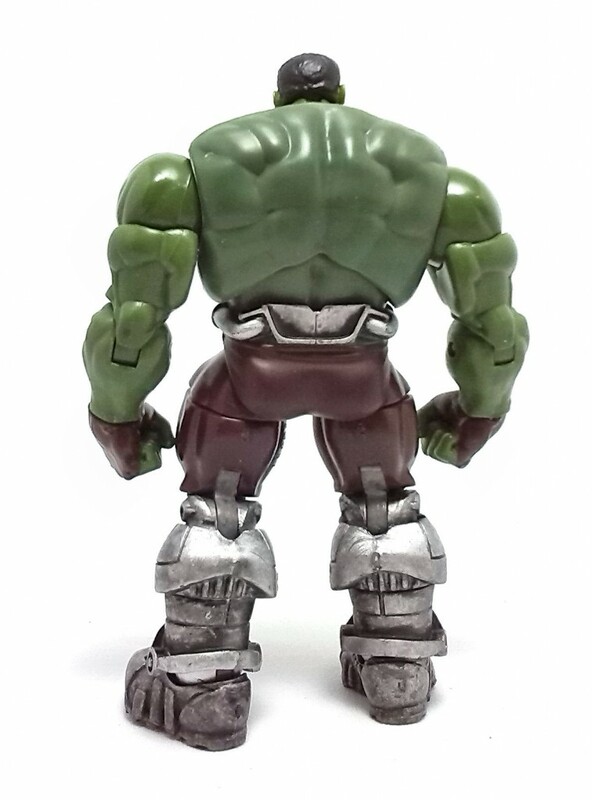 The harness is removable and is precisely the most striking aspect of this Hulk. The piece is made from flexible plastic and slides over the torso without a problem. 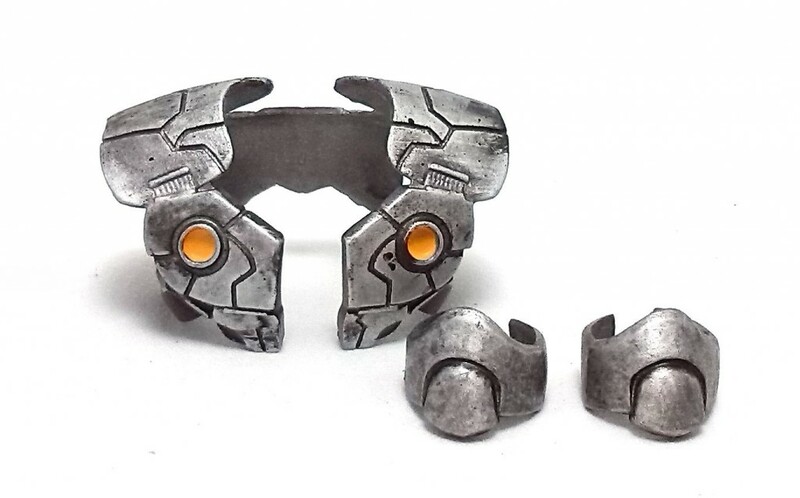 There is also a pair of elbow guards made from the same flexible material, but these pieces are extremely loose and can barely hold onto the limbs on their own. Marvel Now! 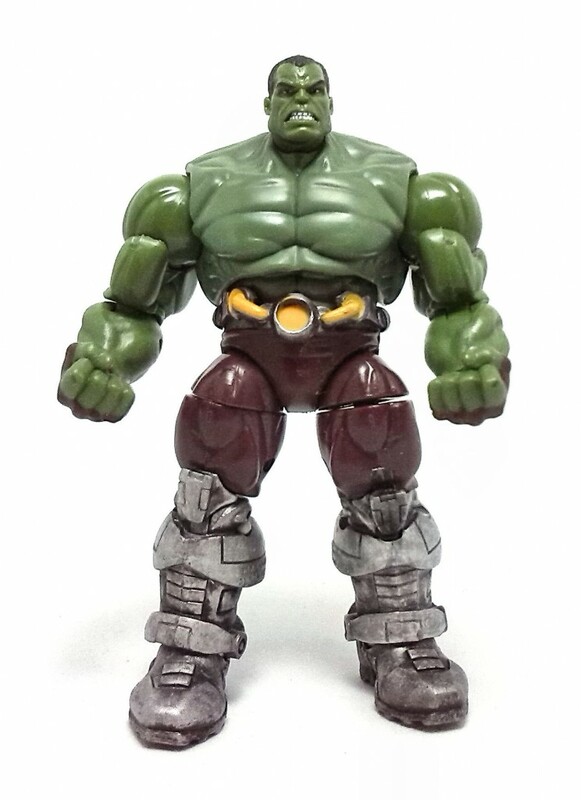 Hulk is quite heavy, but the articulation is strong enough to keep him standing even on one single foot. The range of movement on some of the joints is slightly limited due to the sheer bulk of the pieces that conform this figure, but the overall range is pretty versatile. 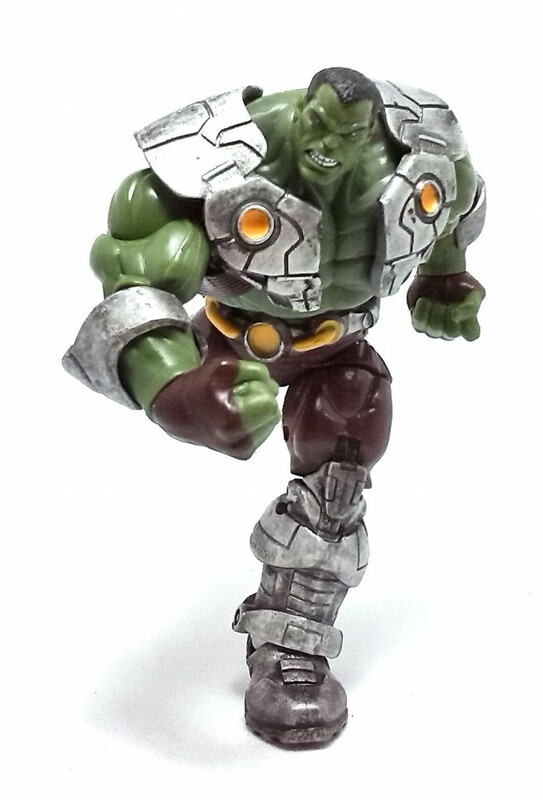 The paintjob on this Hulk is limited almost exclusively to the weathered silver metal pieces on his outfit, since the rest of the pieces are molded in green and brown plastic. There are a few extra touches of color for the yellow parts on the harness and the brown mittens, but these are extremely simple paint operations. The details painted on the face of my figure were applied very neatly, although there were a few paint rubs on the back of the hair. As you can see from the pictures, Marvel Now! 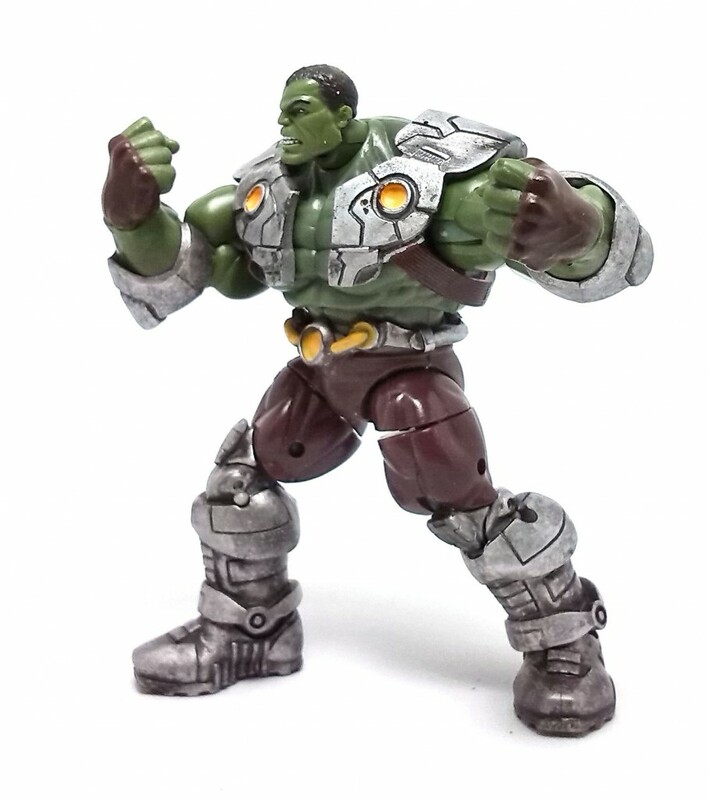 Hulk comes with a couple of punchy hands, thus making it pointless to include any accessory with him, other than the aforementioned removable armor pieces. Marvel Now! Hulk is one figure I was most excited about while it was inside the package, but once I got it out and realized how bad the elbow pads were, I felt very disappointed because they seem to be an integral part of this new Hulk look and the way these pieces were designed, they just don’t work. In the end, I managed to keep the pads in place using a tiny amount of Blu Tack on each, but this situation should have been prevented at the design stage. Nevertheless, the Marvel Now! Hulk is still a pretty decent figure on his own merits. 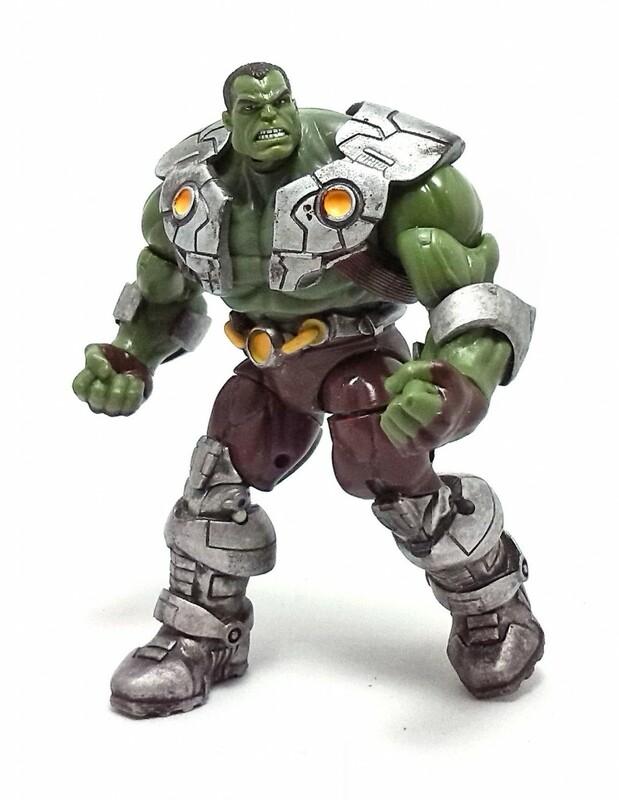 Tags: Hasbro, Hulk, Infinite Series, Marvel Now!